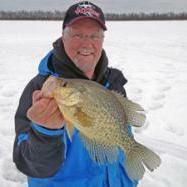 My wife and I are coming to the Brainerd area the last week in December for ice fishing. I can either stay on Upper Hay Lake or South Long Lake. Which would be the best choice for ice fishing? Have Otter Den and 4-wheeler.